The author of The United States, Italy and the Origins of Cold War: Waging Political Warfare discusses how the case of Italy in the early years of the cold war helped set the stage for over half a century of U.S. interventions abroad. In the history of the cold war Italy is not often seen as a crucial locale of the conflict. Why was it so important for the United States and what were the stakes? Italy was the frontline of the emerging cold war. Having (just) survived two World Wars and two decades of Fascism, it was one end of what Churchill famously termed the ‘Iron Curtain’. For the U.S, the postwar struggle between Marxism-communism and liberal-capitalism appeared most vivid here. Italians saw events quite differently of course. What followed was the first flashpoint of the cold war, the 1948 Italian election, and the inaugural U.S. foreign intervention. In short, the employment of all the measures at a nation’s command to achieve its foreign policy objectives short of full-scale hot war. The early cold war was marked by confusion and uncertainty; few understood what the growing hostility entailed and how it would manifest. Many of the decisions leaders subsequently made were ad hoc. The book explores how U.S. officials tried to understand the clash and, furthermore, ensure they overcame communism. The struggle required political warfare and Italy was the first battleground. The American policy planner George F. Kennan is an important figure in your book although you provide a different perspective on this famous individual. What is the significance of Kennan’s role? 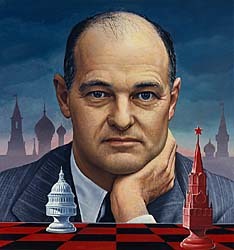 It’s almost impossible to discuss the period without mentioning Kennan! I was less concerned with ‘containment’ but how he defined the cold war as a struggle of political warfare. After writing a piece challenging the common-held view of him as a strategic sage, the book reveals why Kennan did more than anyone to develop and integrate measures short of war. His key contribution was to ensure U.S. foreign relations embraced political warfare. Since 1945 the American approach to international affairs has been to further interests through means short of military warfare. There are the notably exceptions of Vietnam and Iraq of course but the preferred method is short of war. 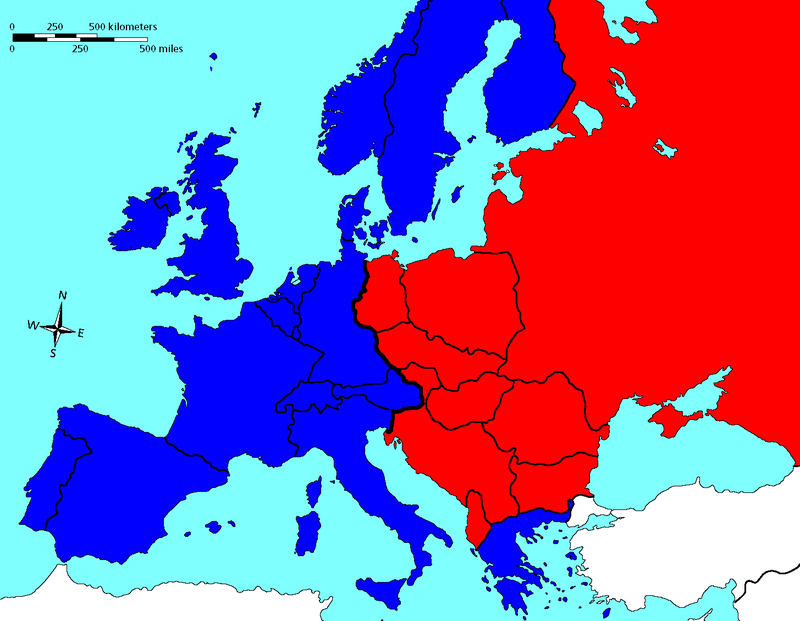 What drew you to the subject and why does the cold war continue to generate so much interest? As I started the project it struck me that, despite large literatures on the cold war and US-Italian relations, there was no explanation of the overlap between the broader conflict and local struggle. Therefore, one motivation was to explore how a cold war shaped American attitudes toward Italy and how Italy influenced U.S. conceptions of that cold war. The story is multi-layered. It’s vital that complexities are not oversimplified, especially when it comes to the cold war since it’s often depicted as a great American triumph. The past is messy which is why historians continue to reinterpret the cold war and uncover hidden angles. 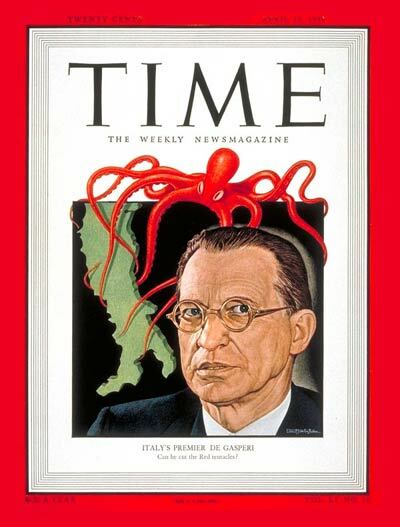 How did the U.S. intervene in the 1948 Italian election and how did Italians respond? They utilised an array of measures short of war, from overt economic aid to covert financial and military backing. The American presence was fiercely debated by the two leading Italian political blocs. Both the Christian Democrats and Marxist parties employed the image of U.S. aid being airlifted into the country in their propaganda campaigns. The former insisted that assistance was helping Italians help themselves while the latter warned that aid was a pretext to Italy becoming a U.S. colony. I was particularly drawn to the fact that both sides used the same picture but for very different reasons. This is the image on the front cover of my book. The book shows in great detail how this was more than just a U.S. story. Why were so many different groups involved in Italy? The I948 Italian election was a truly international moment. There were numerous Italian political and cultural actors vying to lead the country. Fellow Europeans Britain and France were also looking to exert their influence. Moreover, several religious groups, civic organisations, trade unions, and business elites were involved. One of my aims was to understand the motives and designs of these disparate groups. For instance, Washington’s key political interlocutor, Prime Minister Alcide De Gasperi, sought good relations but resisted American political warfare. He acted in the Italian national interest. The Vatican also acted in its interest, which is why it the Holy See was suspicious of the U.S. and De Gasperi. In short, American political warfare did not decide the election. What were the ramifications of these, what you call ‘marriages of convenience’? Several groups worked to block a communist victory without a common vision for the future. Subsequently the essential tie binding this loose network of state and private actors loosened. It led to a problematic future for US-Italian relations and American political warfare as it expanded around Europe and the world. How did you go about writing this sort of international history? It’s not easy although that’s what makes international history so interesting. My research led me to a number of state and private archives around the U.S. and Italy, as well as using literary texts that historians rarely consider. I looked at government records, personal papers, oral histories, and novels like Hemingway’s A Farewell to Arms. Such multi-disciplinary, international research requires patience but bears rich fruit. It also meant I was fortunate to work in fantastic cities like San Francisco and Rome! My research has revolved on how American power, broadly defined, is projected and challenged. My next projects consider dissenting voices to U.S. foreign relations and the rise of the transnational whistle-blower.